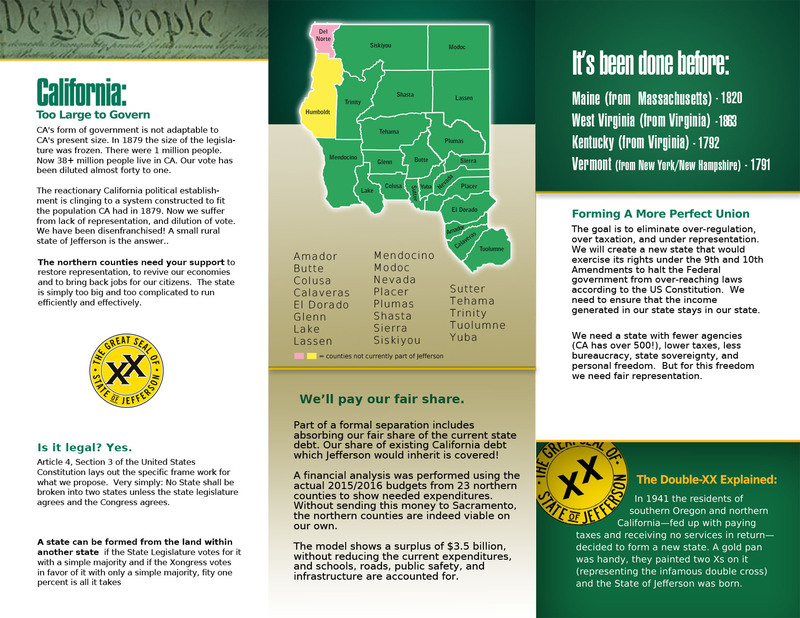 HOW TO COLLECT SIGNATURES ON THE JEFFERSON STATE DECLARATION AND PETITION SHEET-Thank you for getting involved and joining the effort to collect signatures. This is just a simple support statement. It is not intended to add a motion to a ballot or any other formal process. 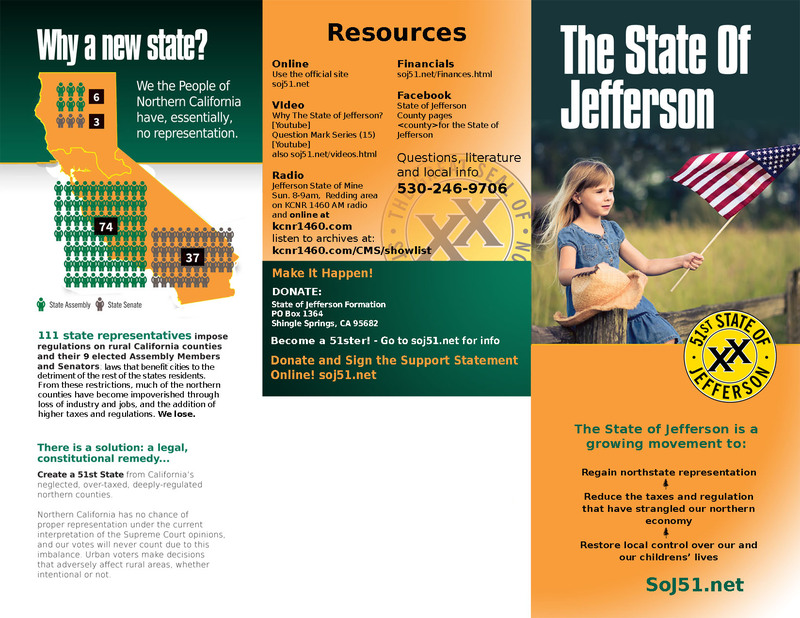 It will simply show the Supervisors of Tuolumne County that citizens are supportive and want Jefferson State. Therefore all that is required is a Name, Signature and City. No addresses, phone number, social security numbers or anything else. ANYONE CAN SIGN INCLUDING CHILDREN! So lets get out there and have fun with this.You may return completed forms to any meeting.